At least 42 people have died in a wildfire in Northern California, making it the deadliest blaze in state history. Authorities reported 13 more fatalities as the search for bodies continued. Victims were found in burned-out cars, in the smouldering ruins of their homes, or next to their vehicles, apparently overcome by smoke and flames before they could escape. In some cases, there were only charred fragments of bone, so small that investigators used a wire basket to sift and sort them. Hundreds of people were unaccounted for by the sheriff's reckoning, four days after the fire swept over the town of Paradise and practically wiped it off the map. As the search for victims dragged on, friends and relatives of the missing called hospitals, police, shelters and the coroner's office in the hope of learning what became of their loved ones. Paradise was a popular retirement community, and about a quarter of the population was over 65. Tad Teays awaited word on his 90-year-old dementia-stricken mother. Darlina Duarte was desperate for information about her half-brother, a diabetic who was largely housebound because he had lost his legs. And Barbara Hall tried in vain to find out whether her aunt and the woman's husband, who are in their 80s and 90s, made it out alive from their retirement community. "Did they make it in their car? Did they get away? Did their car go over the edge of a mountain somewhere? I just don't know," said Ms Hall, adding that the couple had only a landline and calls were not going through to it. Megan James, of Newfoundland, Canada, searched via Twitter from the other side of the continent for information about her aunt and uncle, whose house in Paradise burned down and whose vehicles were still there. On Monday, she asked on Twitter for someone to take over the posts, saying she was "so emotionally and mentally exhausted". 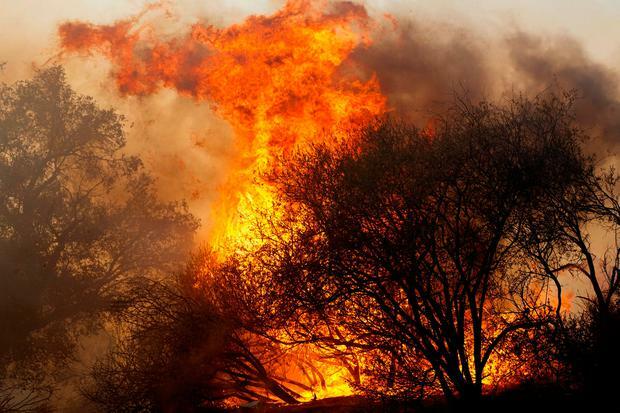 The blaze was part of an outbreak of wildfires on both ends of the state. 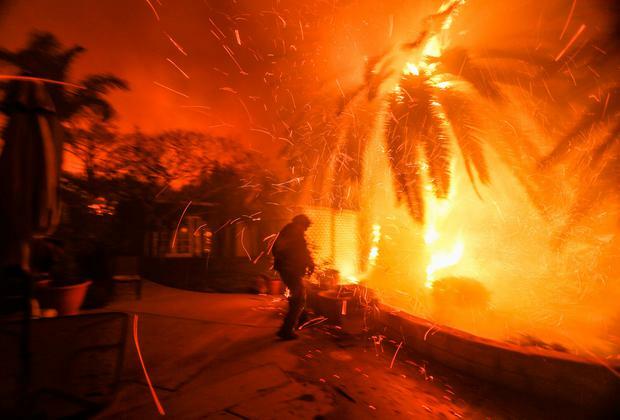 Together, they were blamed for 44 deaths, including two in celebrity-studded Malibu in Southern California, where firefighters appeared to be gaining ground against a roughly 143-square-mile blaze that destroyed at least 370 structures, with hundreds more feared lost. 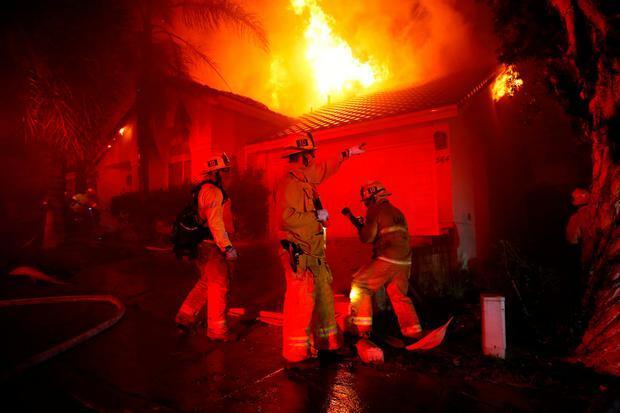 Some of the thousands of people forced from their homes by the blaze were allowed to return, and authorities reopened US 101, a major highway through the fire zone in Los Angeles and Ventura counties. In Northern California, fire crews still fighting the blaze that obliterated Paradise contended with wind gusts of up to 40 mph overnight. 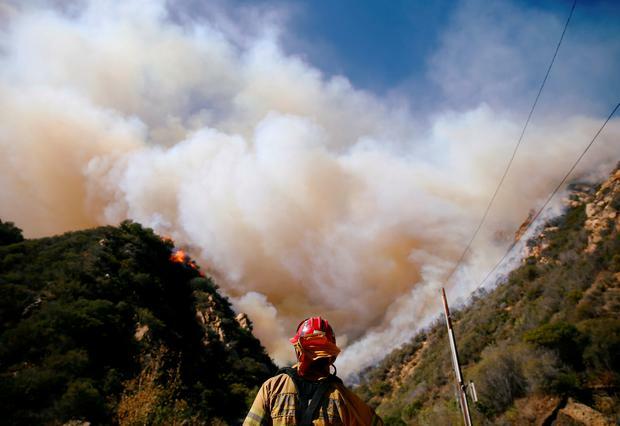 The fire had grown to 177 square miles and was 25% contained, authorities said. Winds were expected to weaken on Monday night. The 29 dead in Northern California matched the deadliest single fire on record, a 1933 blaze in Griffith Park in Los Angeles. A series of wildfires in Northern California's wine country last autumn killed 44 people and destroyed more than 5,000 homes.